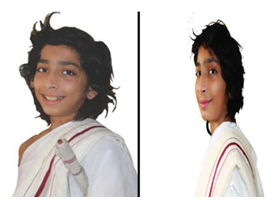 Ten-year-old twin Jain balmunis to give a lecture in 10 languages in Bengaluru on December 2nd. These balmunis have reached the pinnacle of Shatavdhaan only because of their indomitable willpower, meditation, yoga, passion, hard work, and concentration. More details are given below. JAINA Convention 2019 preparations are in full swing at Jain Center of Southern California and Jain Center of Los Angeles. Over 2000 members have already registered to attend the convention. Did you book your spot yet? Please register yourself along with your family here: https://www.jainaconvention.org/user-registration/. 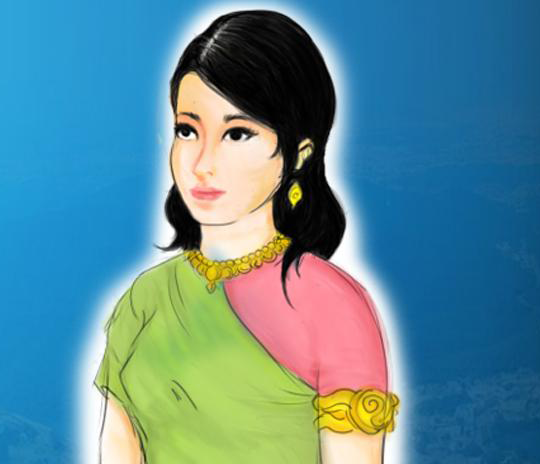 Q 1: What is the Avaddh? Q 2: What is the Biyasan? 10-year-old twin monks, Namichndrasagar Maharaj Saheb and Nemichandrasagar Maharaj Saheb born as Dhruv and Dhairya, respectively in the family of Piyush Mehta - a diamond assorter in Surat, are set to astound the world when they will give discourses in English, Sanskrit, Prakrit, Hindi, Marathi, Gujarati, Punjabi, Kannada, Marwadi and Urdu at Baal Shatavdhaan programme being organized by Meditation Research Foundation in association with Shri Nakoda Parswanath Shwetambar Mandir Trust in Bengaluru on December 2nd. The monks will face questions on different countries, their capital cities, and official languages besides the arbitrary law of mathematics etc. The event to held in the open hall of Palace Garden in Bengaluru, which will be attended by over 6,000 people. Anyone from the audience will test their knowledge on Jain scriptures, Shrimad Bhagavad Gita, Bible, Quran and Shri Guru Granth Shahib. The twin monks have studied up to 1st standard and received training from Gurudev Maha Shatavdhaani Abhinandanchandrasagarji Maharaj for two years and are able to recall 350 sholaks after memorizing them in just two and a half hours. According to Maha Shatavdhaani Abhinandanchandrasagarji Maharaj, this event will be first of its kind and will create a world record. These balmunis have reached the pinnacle of Shatavdhaan only because of their indomitable willpower, meditation, yoga, passion, hard work, and concentration. This event will be an example of the power of memory and mind to the young generation which is obsessed with social media. Jain Center of Greater Boston celebrated Diwali 2018 with much enthusiasm. Pathshala kids performed dance and skit, while adults discussed over the future plans of the Jain Center. Here are some photos from the celebrations. In the south of Bharatshetra was a state called Karnatak ruled grandly by illustrious King Chakrapani. His wife was queen Priyangumanjari. Time passed by in the lap of luxury and eventually she gave birth to a baby girl. Though healthy in all ways, with all limbs in proportion, the baby was born with a monkey’s face due to some past lives’ sins. The King was shocked by this incident and suspecting some inauspicious events, performed many rituals to pacify many demi-gods and goddesses. With an ugly face but a beautiful destiny, the baby Princess was named Saubhaagyamanjari. She grew up to be well versed in all the 64 skills of a lady. Once, when Saubhaagyamanjari was sitting on the King’s lap, in palace court, a foreigner entered singing praises of the mountain shrine, Shri Pundarikgiri and the greatness of the pious mountain Girnar, the holy shrine that has saved many from the miseries of world. He said, “Dear King, hail Girnar, the pious mountain shrine, which is the land of accumulation of virtues and destruction of pain and poverty. The pious mountain Girnar, is instrumental in healing the ill; leading to the welfare of many people and relieving one of all fears. The pious steeples, rivers, streams and trees of this mountain provide happiness to all beings. The celestial beings that come to worship Lord Neminath consider the many comforts of heaven to be a speck compared to the bliss experienced here.” Listening to the description of the pious mountain Girnar, Princess Saubhaagyamanjari attained jati-smaran gyaan (the knowledge which helps one recall the previous births) and fell unconscious. Being on the YJP Executive Board is a unique opportunity to connect with other Jain professionals, build life-lasting friendships, and develop our next generation of Jain leaders. Be a part of a support structure that brings Jains together. On October 7, 2018, YJP officially launched a new chapter in Orlando, Florida at the Jain Society of Central Florida. 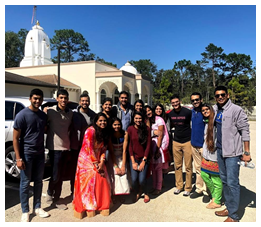 At this historic event, the 2018 YJP Executive Board led the weekly aarti, helped with cleaning and event management, and rocked the stage to discuss future initiatives for YJP Orlando. We celebrate YJP Orlando and look forward to great things to come from this beautiful chapter! A 1: Taking food and water eight hours after the sunrise. A 2: One must take food only twice a day at one sitting each time.